There are many definitions to decoupling. In plain English, the Cambridge dictionary defines it as “a situation in which two or more activities are separated, or do not develop in the same way”. Thus, investors use this term to describe a situation whereby returns on asset classes diverge from the expected or normal pattern of correlation. However, when looking at Singapore properties, it means to divide the shared ownership of a property – especially that of a couple, hence the term decouple. Legally, it is called severance of joint ownership of the property. This is done through the signing of an instrument in required forms prepared by lawyers that is then submitted to the Singapore Land Authority. It should be noted that there is a difference between decoupling for HDB flats and also decoupling for private properties. For this article, we will be focusing on decoupling of private properties. 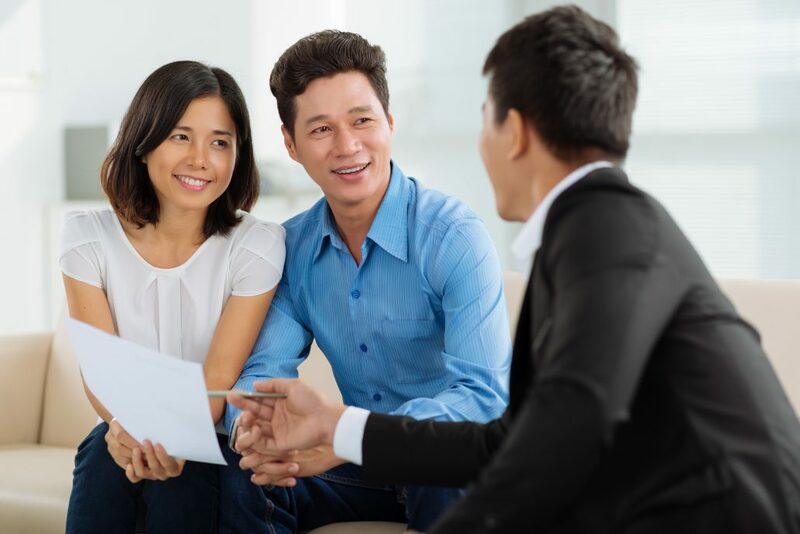 The reason why owners will undergo the decoupling process is because in light of the government’s cooling measures placed on the housing market, couples who wish to purchase a second property in Singapore, in hopes of avoiding having to pay additional stamp duties through the Additional Buyer’s Stamp Duty (ABSD). Thus, taxes and repayments for the decoupling process will be broken down below. ABSD was first implemented in 2011 when investor demand was strong from both local and foreign markets. However, rates depend on the residency of buyers and also the purchase price or valuation of the property, whichever is higher. These taxes (ABSD and BSD) are rounded off to the nearest dollar. When looking at private properties, the government does not restrict (much) on the decoupling process. The only restriction is that none of the owners can be a bankrupt or going to be a bankrupt. It should also be noted that CPF be used for the purchase of the property, upon the sale of the property in the decoupling process, there is a need for funds withdrawn to be returned to the CPF of the seller plus accrued interest, if any. Moreover, if there is any outstanding mortgage, there is a need for the buyer to take on the wholesale onus of mortgage repayments. Additionally, it should be noted that BSD will be enforced on the buyer. However, should the property be sold within the first 4 years of owning the property, the seller will also be taxed under the Seller’s Stamp Duty (SSD) – on the higher value between the transacted price or fair market value. Gifting of properties should be done through the deed of gift and is subjected to the property being fully paid. Thus, there is a need to check for charges on the property – bank charge for mortgages and CPF charge for funds withdrawn from CPF for payment of property. There is also a need to ensure that the owner intends to give it as a gift and not be held in trust. However, stamp duties still have to be paid as such there is a need for valuation of the property to be done so as to ensure the correct payment of taxes. On top of that, this will also act as a proof of the value of the property being gifted at market value rather than being undervalued. Thus, these will eliminate the problems in selling the property in the future or obtaining a bank loan. It should be noted that this will follow that of gifting during the donor’s lifetime (inter vivos gifts). The ownership of these properties would usually be transferred through sales and purchase agreements, with the other owner buying over the shares of the other. This should be done at an arm’s length transaction and an independent valuation should be sought. It should also be noted that stamp duties are payable for buyers and sellers. In this case, for the buyer, only BSD will be imposed. On the other hand, if the seller sells it before 4 years holding period is up, SSD will be imposed. Thus, under this situation, the property should be purchased without any charges on the property – bank loans and CPF charges. 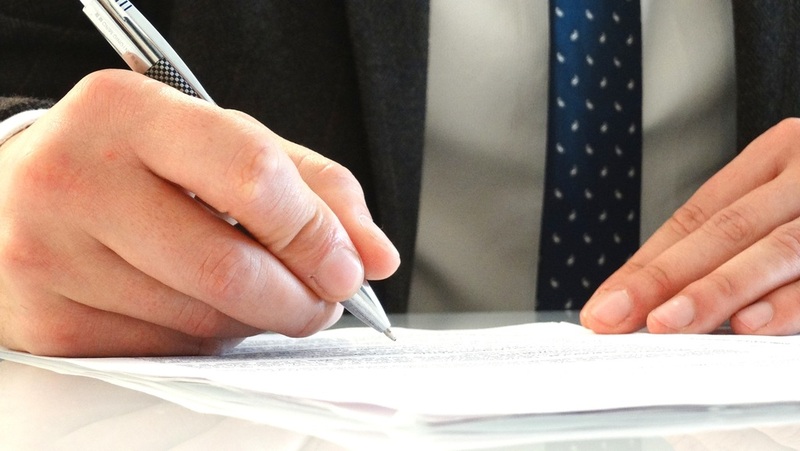 Similar to having fully paid for the property, the transfer should be done through a sales and purchase (S&P) agreement at an arm’s length transaction with independent valuation being sought. Thus, stamp duties are also applicable based on the above situations: buyers having BSD imposed and sellers having SSD imposed if it is sold within 4 years of owning the property. How this differs from the previous is that there is a bank charge on the property. This is due to the mortgage loan that was used to finance the property. As such, the buyer will then have to bear all mortgage payments, that were originally split between the couple, alone. In addition, should CPF be used to pay for the property, there is a need for the seller to use the sale proceeds to repay the amount withdrawn from CPF during the purchase of the property. Banks often do not like to do the part purchases – especially those who want to continue financing from the same bank. This is largely due to the lack of funds dispersed and the large amount of paper work associated with the process. As such, buyers usually consider restructuring and refinancing the loans to other banks. 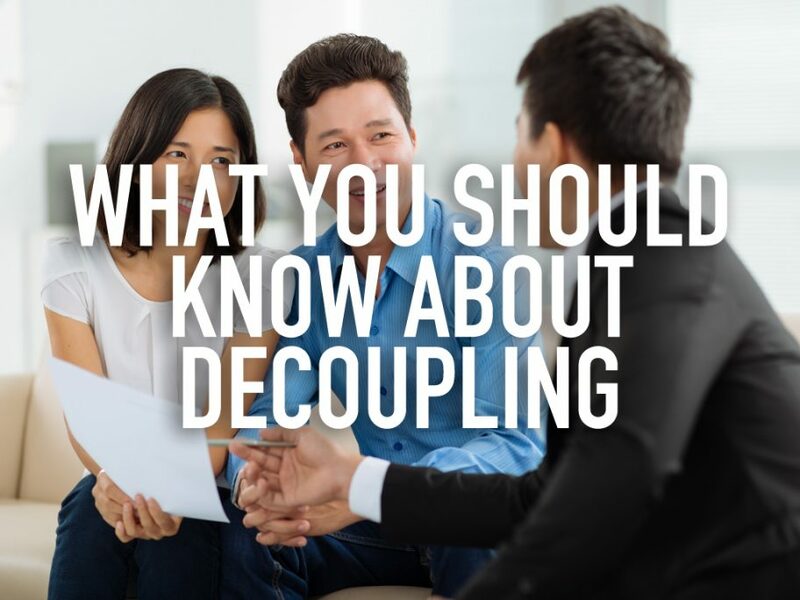 Hence, decoupling is a process of severing a joint ownership through the signing of an instrument with the required documents, which is usually done when a couple intends to own a second property and do not wish to pay for ABSD on the second property. As such, couples can transfer ownership of property through gifting or part-purchase – fully paid or with a loan balance. For HDB flats, decoupling is referred to as the resale of part share by way of part purchase between family members at a mutually agreed price; there has to be monetary consideration involved for such changes. However, these rules were revised to ban resale between married couples. Divorced couples can choose to buy over the others’ share in the flat through a partial purchase by way of resale after finalising the divorce and meeting the Minimum Occupancy Period (MOP). Thus, there are eligibility criteria for both buyers and sellers under the resale of shares. For Sellers – they must have met the prerequisite MOP and deemed eligible to sell on the open market. For Buyers – they must meet one of the prevailing housing schemes to buy over the owner’s share. Divorce to be finalised after the requisite MOP. Divorce documents must indicate resale of part-share to the other party. In addition, there are also conditions to be fulfilled after the resale of part-share, which is to fulfil a fresh MOP before sale of flat in the open market, renting out the flat and/or investing in property when at least 1 owner is a Singaporean citizen. Hence, the main differences between decoupling for HDB flats and private properties are that HDB flats cannot be decoupled for married couples while for private properties, it can be done.